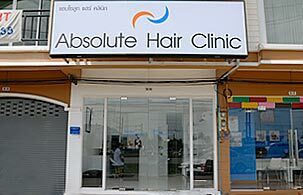 Absolute Hair Clinic is devoted to hair restoration. With skillful, experienced and well trained hair restoration surgeon and his high quality surgical team, a painless and result guaranteed hair transplantation surgery will be performed in one pass. Hair transplantation is considered to be a valued solution for hair loss as it gives you a natural result that can lasts a life time. Certified by International Society of Hair Restoration Surgery, Dr Kong Kiat, a Family Physician who totally committed to hair restoration using the most advanced, state-of-the -art techniques in hair transplant surgery to help you restore lost hair and replace or re-shape your hairline with your own natural, growing hair, which needs no more care than the ordinary washing, styling, and trimming you have always done.